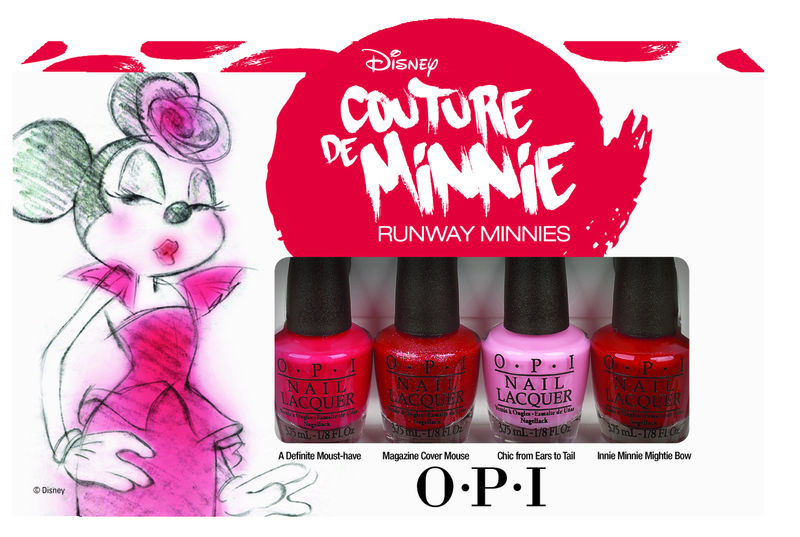 OPI’s Couture De Minnie Collection is coming soon! This limited edition collection consists of four new shades plus a Liquid Sand shade that is inspired by the legendary Minnie Mouse! These polishes are DBP, toluene and formaldehyde free and they all have a Pro-Wide brush for easy application. You know me, I need them all 😀 Are you going to pick up any of this collection? This entry was posted in OPI and tagged opi couture de minnie, opi couture de minnie collection by Polish Alcoholic. Bookmark the permalink. I wish OPI wasn’t so expensive in South Africa because I ADORE that glitter one!!! Have you entered my giveaway yet? It’s ending soon! I’m thinking that’s what will happen!